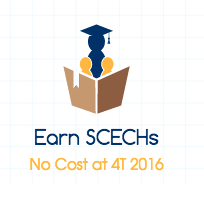 K-12 Educators Can Earn SCECHs at NO COST! 1) You must attend session that are approved for SCECH’s credit (this year -2016- ALL sessions are approved!). You must login with your first and last name. You must attend the entire 60 minutes. You must attend the LIVE session (watching an archived recording does not count). If you are experiencing difficulty navigating the Secure Central Registry, please email the Website Administrator (scrhelpdesk@gmail.com) or calling 517-327-5925. If you need technical support for the Michigan Online Educator Certification System (MOECS), Contact the MOECS Support at (517) 373-3310 or E-mail: MOECSSupport@Michigan.gov. *Participants need to understand that the e-mail address they provided when registering on the SCR (Secure Central Registry) must match the one provided on the Participant Verification Form. If the e-mail addresses do not match, the participant will NOT receive e-mails from the MDE as to whether or not they have been awarded their SB-SCECHs. ALSO, participants MUST complete the evaluation that will be e-mailed to them—another reason the e-mail address must match. 3) Please complete the ONLINE form (link HERE) once you finish the entire conference. We only need ONE form per person for the whole conference/ MUST BE COMPLETED BY MAY 27th!!!! Apologies but form has been taken down because it is now past the deadline of May 27th.